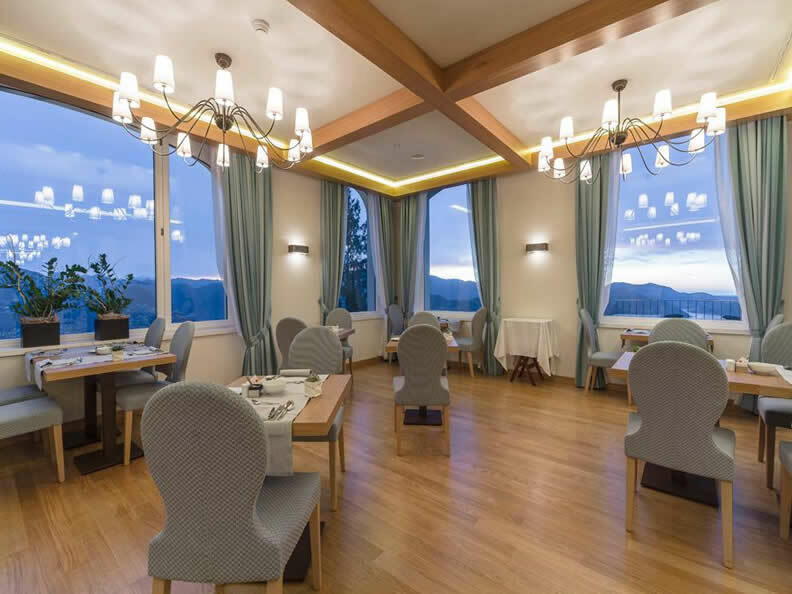 The new Kurhaus Cademario Hotel & Spa is firmly anchored in 100 years of tradition and offers the perfect setting for guests to submerse themselves in the 2,200 m2 spa area in addition to its stylish rooms and fresh and hearty cuisine. 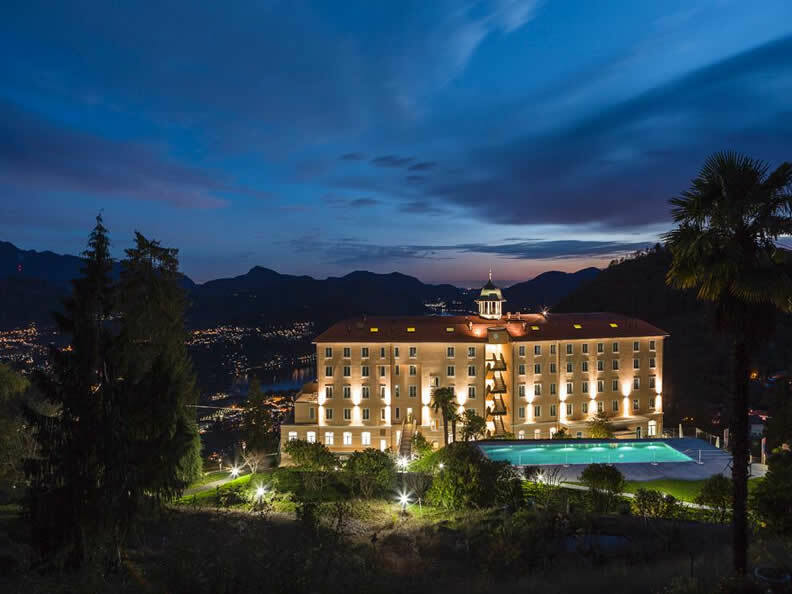 The tranquility, 3 ha of extensive parkland and dreamy views of Lake Lugano and the surrounding Ticino mountains have been retained but everything else is completely new. 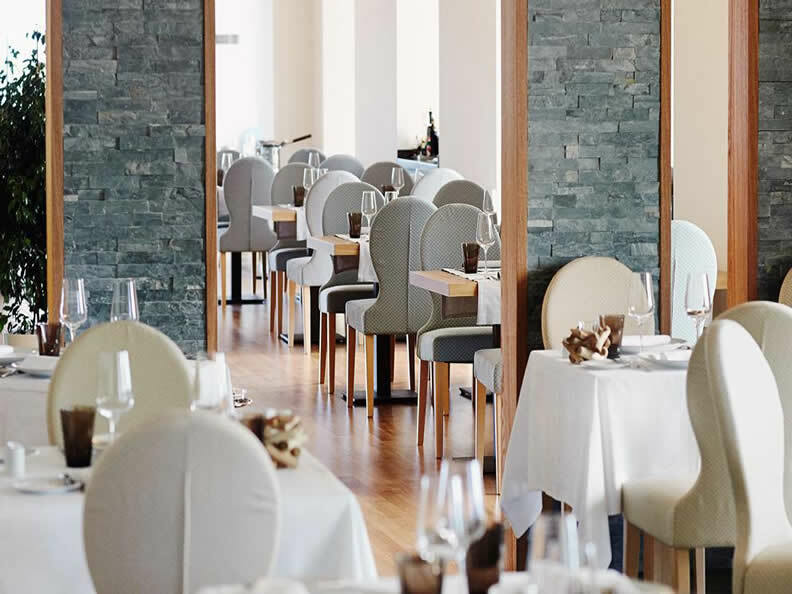 The restaurant “La Cucina” will guide you on a “buon gusto” voyage of discovery through the cuisine of Ticino and North Italy. 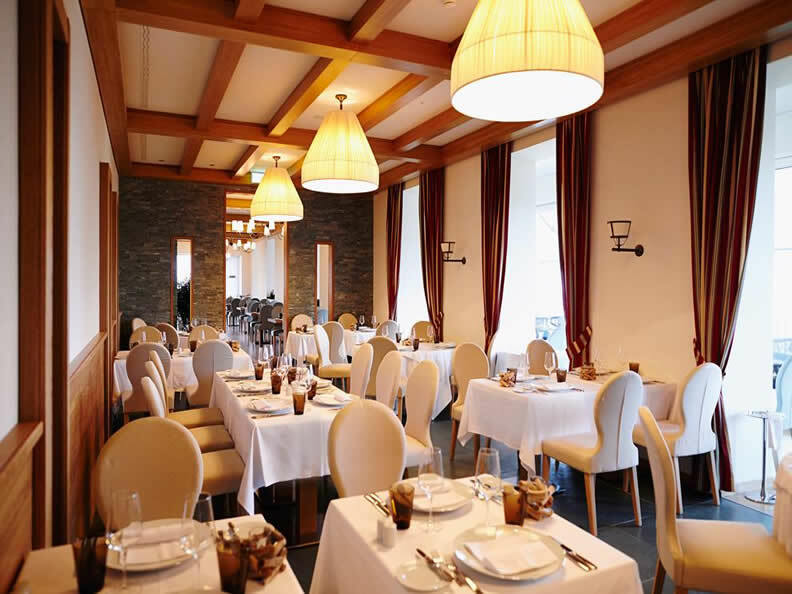 Traditional, regional and seasonal dishes are freshly prepared everyday with a special attention to allergies and with an own nutrition concept. 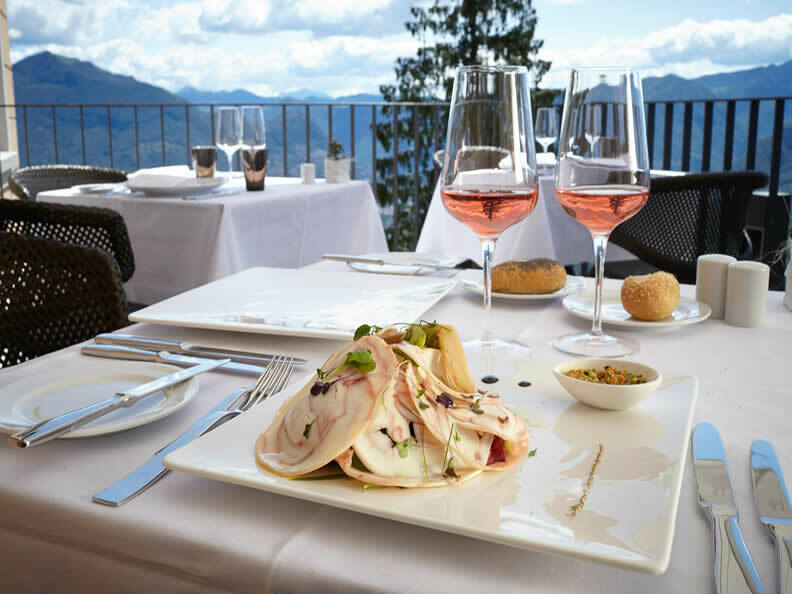 Not to be missed: Ticino wines at the stylish Agra Bar enjoying the great view of Lake Lugano!